We got a feedback from some of our readers that our last post Ownership - Holding a RealT was a bit too much complicated to understand for a beginner. Totally respecting their valuable comments, we have tried to mellow down this post on RealT Financing (although the topic is way more complicated than the last one :-/). There are several ways in which a RealT deal can be financed. Typically all the ways can be classified under 2 heads – Equity & Debt. To start with, we will cover the Debt portion in this post and try to explain the various options to raise finance through debt. Debt, in literal sense means – “raising money from the market for a particular time horizon, at some interest rate”. Due to the advancement in the financial markets, many instruments have been developed to carry out this function. These instruments, if used rationally can benefit both lenders & borrowers, but improper use of such instruments can even lead to catastrophes like ‘Sub-prime crisis of 2008’. The amount of disbursement depends on various factors like – individual’s net worth, MPBF (maximum permissible bank fund), income statements, securitization etc. 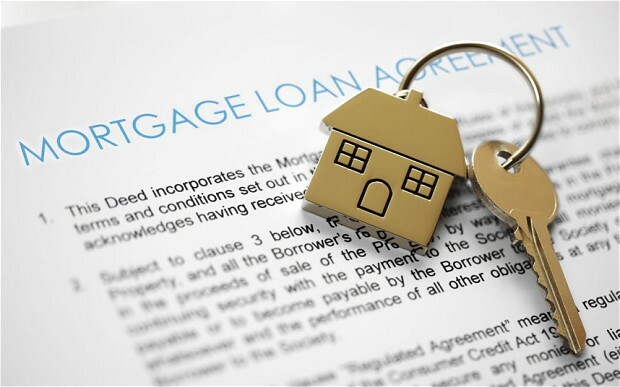 Mortgage typically means taking loan from a party by pledging your property as a collateral against the loan. The mortgagee reserves full right to take a control over the pledged property in case of foreclosure (default, in simple terms). 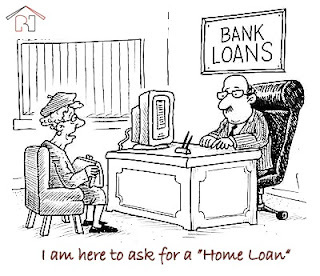 These are specialized agencies which provides mortgages directly to the borrowers, using their own capital. These agencies do not accept deposits from the public, rather makes money from the loan origination fees & servicing fees. They typically packages the loans & sell them to the institutional buyers or government sponsored enterprises in secondary markets. In US, there are Freddie Mac & Fannie Mae to carry out these functions while in India there is no such institution yet for this function. The nearest equivalent that can be thought of is Mortgage Risk Guarantee Fund. 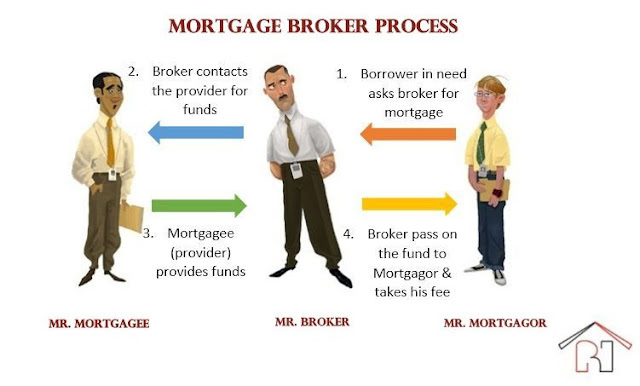 So the whole process of Secondary Markets is depicted in the above figure. 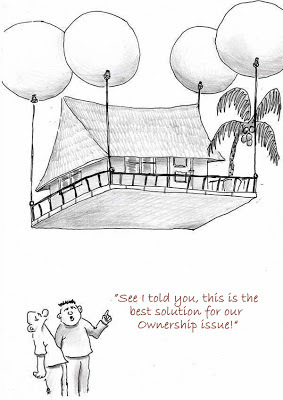 It shows step by step process followed by the loans to finally reach the borrower. Note: We understand that this post has been a bit too much complicated. Please feel free to write to us in case you need any explanations on any of the above topics. The remaining portion of financing by equity will be covered in our next post. Stay tuned!! As soon as I sat down to pen the first post for RealT Horizon, I was bombarded with several areas of concern which need to be addressed here. To start with, I decided to go with the basics. 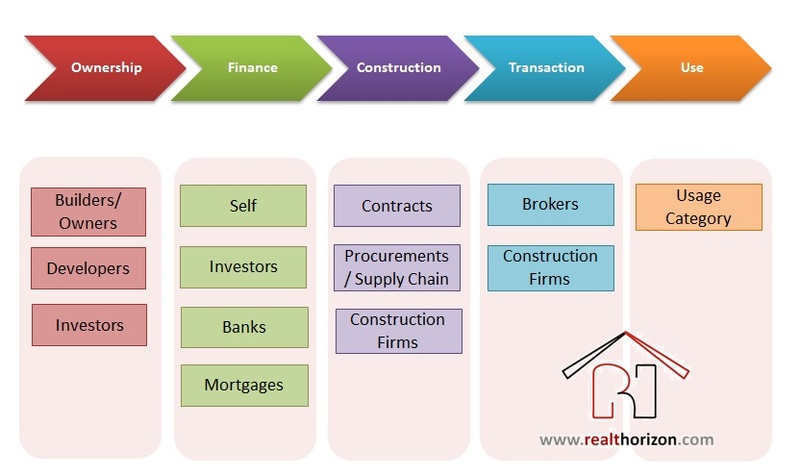 So let’s look at the overview of the Value Chain of this sector. Whether the 5 levels shown in figure 1 will remain intact or some of them will get merged or eliminated depends totally on the 3 usage categories. 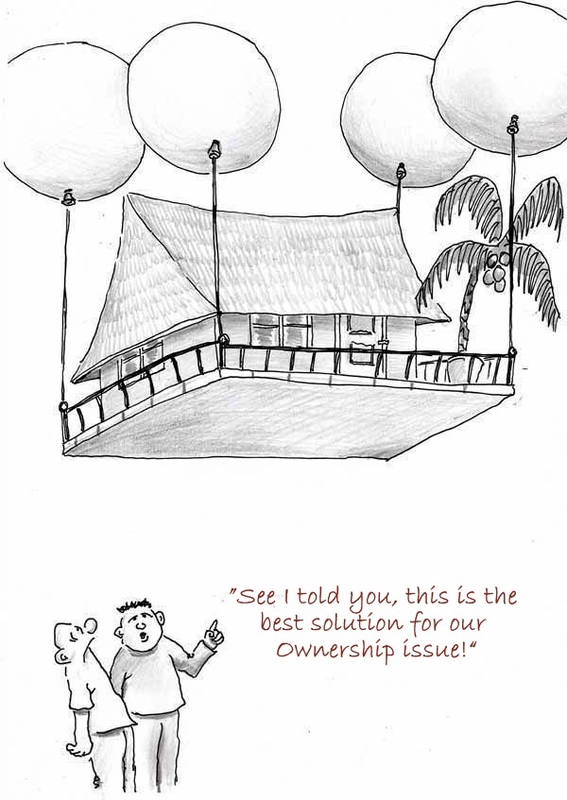 If, for instance, the category is ‘Residential’ and that too for single housing, probably the ‘Transactions’ level can be skipped. As can be seen in the above figure, each level can be further fragmented into several components. This is the multiplicity that results in all the complexities that this sector is facing currently in India and probably in various other developing nations. This sector needs treatment, and it will be possible only if there is a subtle understanding of its basics ingrained in all the investors. I will cover all the components individually in my future posts. So stay tuned and pour in your comments & suggestions to help me analyze RealT Sector more effectively!